Which Job Comes With The Best Vehicle? When you sign up to be a taxi driver, you get the keys to a taxi cab. When you sign up to be a mining truck driver, you get the keys to a mining truck. Clearly, one is better than the other. 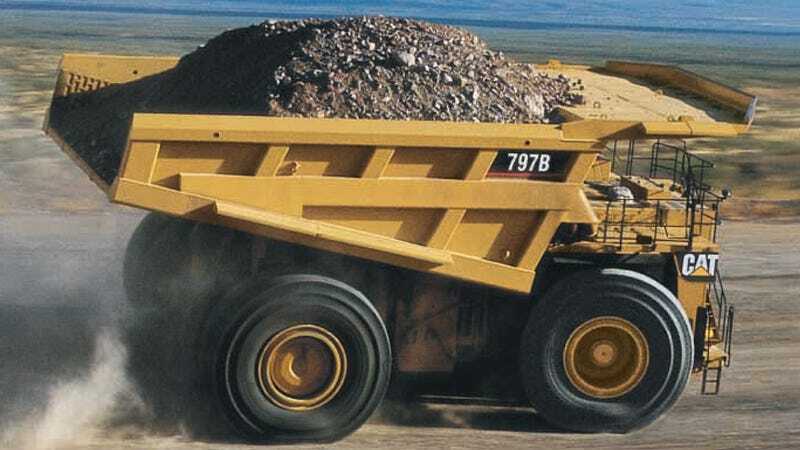 Yep, if you play your cards right and are willing to put 'open pit' as your work location, you can get to drive a $1.3 million dump truck. You can even drift them, if you're not too worried about your job security. Hard as it is to believe, I know there must be jobs that come with even better vehicles than giant dump trucks. What job do you think comes with the best set of keys be it for land, air, or sea?